Earth Day greetings to you and your beautiful daughters. 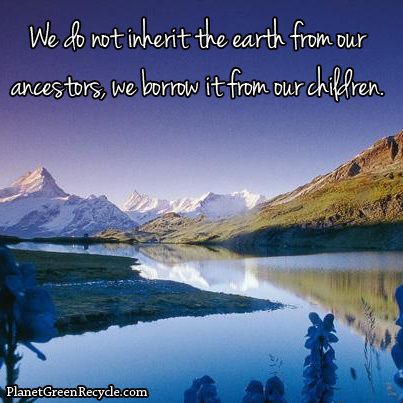 Earth Day is a good time to repeat this wise proverb: We do not inherit the earth from our ancestors. We borrow it from our children. I know you love your children and want what is best for them. I love my grandchildren and dream of a bright future for them as well. But you and I both know our current generation is not doing enough to provide a future with hope for your children or mine; or for all our children from whom we have borrowed this planet. Protecting and conserving this earth ought to be right up your alley. After all you do call yourself a Conservative so it seems to me you should be on the front lines advocating for the conservation of the earth. Our shared home is under tremendous stress on this Earth Day 2016; it desperately needs conserving by all of us who seek to maintain its goodness and protect its future. Our oceans are full of plastic, our coral reefs are devastated by crude oil, our rivers are polluted by toxic wastes, our air is saturated with greenhouse gases, the soil in which we grow our food is contaminated with pesticides. Even though some politicians keep denying that we humans contribute to climate change (a short sighted, politically motivated position, in my view) still there are so many helpful things we could be doing as responsible human beings to prevent and reverse many of the devastating realities of our planet. Senator Cruz, this too should be right up your alley. If you truly are a Conservative, then you believe in personal responsibility, right? We are responsible! When some people argue that climate change is not influenced by human activity, I think they are just looking for a way to shirk responsibility and avoid paying for the care and repair of the earth. Why would any intelligent person waste their breath arguing against the idea that there is at least some human irresponsibility responsible for many of our planet’s woes? 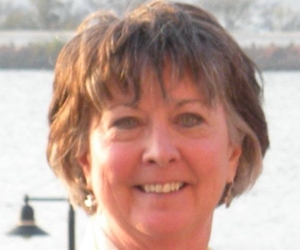 I am not a political Conservative anymore, but as a conservationist I too, like you, believe in personal responsibility. Our responsibility for the earth, however, must be both personal and communal. Each of us individually and all of us together must step up to our duty to be good stewards of this our shared home. Senator Cruz, you say you are a person of faith, so this too should be right up your alley. Each of the two different creation stories in the biblical book of Genesis articulates the understanding that every human being bears the “image of God” and shares in the divine call to steward this good earth the Creator has placed into our care. We have not been given this earth to plunder; we are given this gift to preserve and protect. I appeal to you: as a parent, as a Conservative, as a Christian, as a political leader, please take your responsibility seriously. Open your eyes. Open your mind. Open your heart and step up to your obligation to lead our nation toward responsible solutions. We must stop our spiteful finger pointing, our childish blaming, our foolish denial and our dangerous short sightedness. We must admit responsibility for the harm we have done (and continue to do) to this planet. We must find a way through our current environmental crisis. We must work together to repair the world. For our children and our grandchildren and our great-grandchildren. 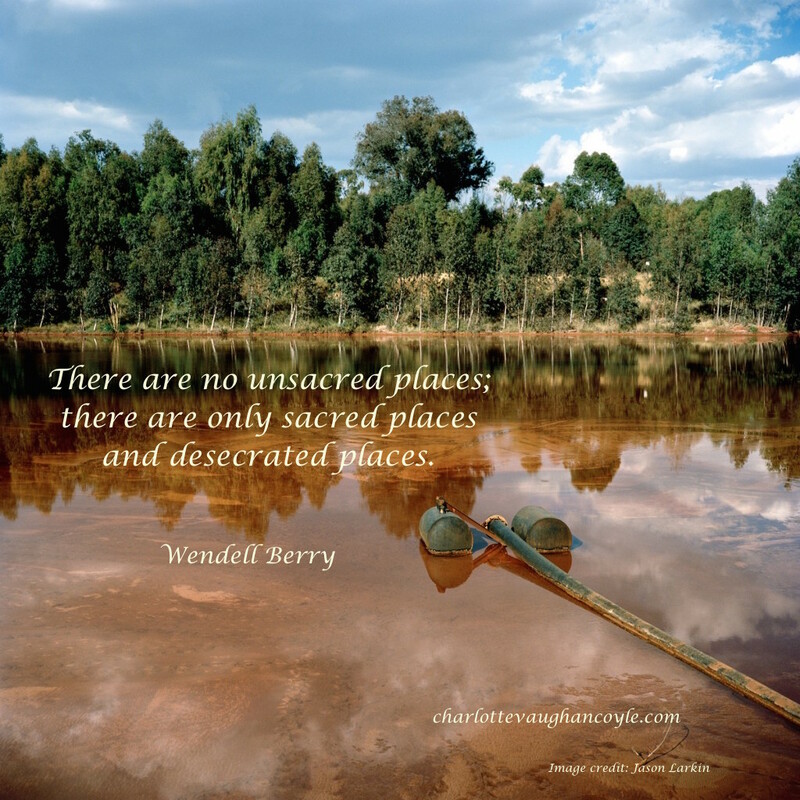 If you don’t know Wendell Berry, you should. A remarkable man. I wish I knew who first gave us this proverb about “borrowing the earth from our children.” The saying is attributed to numerous wise people.